In many continents, young people represent a promising, yet untapped potential for disruptive innovation for transforming food systems. Though, many young people struggle to make the transition from education to work to become financially independent. A growing aspiration gap lays bare the friction between economic realities and what it means for youth to be gainfully employed or a successful entrepreneur. The agrofood sector holds a great deal of promise for economic growth and market potential as well as addressing food security issues. With a rising youth bulge and commitments to among others SDG 2, national and global organizations are recognizing the urgency of addressing the matter of youth employment and entrepreneurship in this sector. Though their approaches have yielded varying results. Will present interventions lead us to achieve our ambitious goals? These were questions discussed in the fifth Community of Practice (CoP) Youth meet-up on January 23, 2019. Judith Francis from CTA, the Technical Centre for Agricultural and Rural Co-operation, and Jennie van der Mheen from Wageningen University & Research (WUR) presented a comprehensive framework and brief, which was followed by a lively debate with organizations active in this field – aiming at creating a better understanding of integrated approaches needed for addressing these issues. A dominant policy approach to youth un- and underemployment has been the funding of skills-building programmes that seek to enhance the employability of young jobseekers. Also a number of behavioural change for activation, mentorship, incubator and entrepreneurship programmes are being developed and implemented. 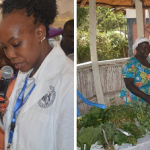 Many of these interventions are based on the assumption that young people are either insufficiently equipped or not sufficiently motivated to support the agricultural transformation agenda. And these programmes suggest that markets do (or would) hold sufficient opportunities and empowering young people would suffice to enable them to enter these markets. However, still many questions remain as it is unclear whether, and under what conditions, the formal private sector generates enough and decent jobs. Policy actors are becoming more aware of the shortcomings of certain interventions, and attention is shifting to focus on how to promote productivity, boost the private sector, and generate the kind of growth that could create jobs. This also came forward from the PhD research by Maya Turolla. As Maya presented, she has explored the ways in which the social category of youth became the target of development programmes focussed on agribusiness in Uganda, and she has examined the impact of programmes for youth agripreneurship in four of the country’s regions. She explained that while studying the Theories of Change of development organizations in Uganda, she found inconsistencies and unjustified assumptions in the various development approaches. She identified a spectrum of approaches to youths’ engagement in agribusiness, which goes from governmental and public sector programmes to private-sector driven bilateral programmes. Evidence from programmes evaluations on the ground shows how difficult it is to generalize the outcomes of these approaches, due to the extreme heterogeneity of youths’ identity, capacities and constraints. Maya described three major dimensions of youths’ heterogeneity (value chain specificities, socio-cultural background and territorial disparities), and recommended a context-specific approach for development programmes. In fact, she concluded by stressing that the barriers to youths’ employment in agribusiness are very specific to youths’ socio-cultural and economic identity, and local context. Moreover, besides customizing an enabling environment to youths’ heterogeneity, it is of importance to identify the assumptions and rationales of development programmes’ Theories of Change. Find her presentation here. These various assumptions behind different Theories of Change and the many factors influencing successful interventions is what triggered CTA and WUR to start thinking about a comprehensive framework. 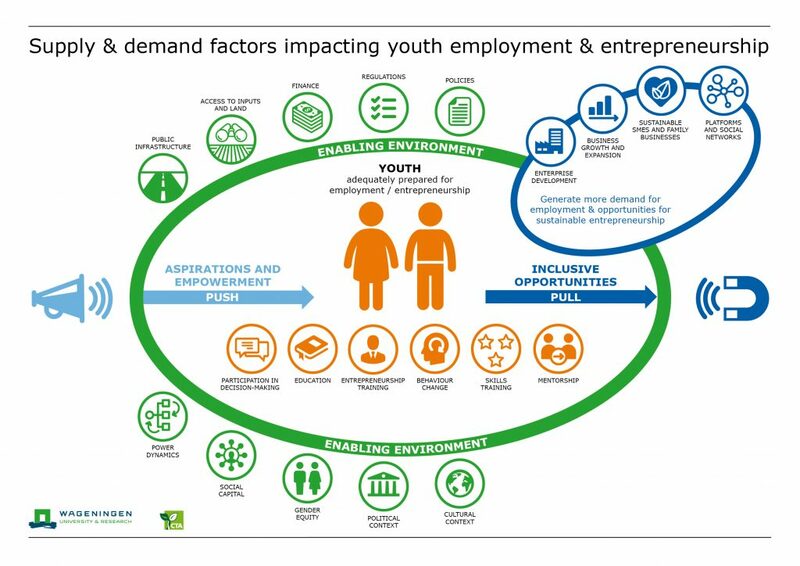 This resulted in a draft model and accompanying brief on “supply and demand factors impacting youth employment & entrepreneurship” The purpose of this model and the brief is to propose a systems approach and to serve as a guide for those who are deciding where to best intervene or for their investments to have greatest impact on youth employment and entrepreneurship in agrofood systems. The participants of the CoP meet-up were invited to reflect on the draft framework. Does it capture the multiple issues and address the most effective ways to overcome the challenge of youth under- and unemployment? Does it expand youth entrepreneurial opportunities? Can it help guide meaningful interventions? Which suggestions are there for improvements? How can we move to (more) collective action on these issues? 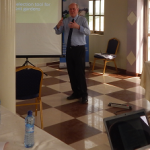 Overall the participants were very positive about the potential of the framework. From the discussions it became clear that there are still many different ways of interpreting the model. Suggestions were made to unpack the boxes further in a brief for better understanding and to create a shared idea for effective interventions. This could then even be tailored to different stakeholder groups for whom this brief could be of interest. Since the framework encompasses so many elements, it seems to suggest that it can mainly be of use on a “higher level” of policy making. Nevertheless, many other suggestions for the use of the model were made as well, such as for researchers or for youth themselves. Certain things could be emphasized more. As such it was suggested that the model could create the tendency to talk about, instead of with young people. 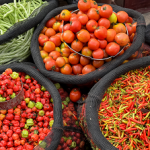 Also the relation to food security, SDG2, came forward – the possible role of youth as change agents and a link to sustainable food system thinking. The “push and pull” created some confusion. It could also be a matter of framing. It was also commented that the model in itself actually does not test assumptions, but rather promotes a holistic approach. So to support the model, more evidence based description could be useful also to highlight the assumptions and knowledge gaps. There is already a growing knowledge base and various guidelines exist, such as for “Making Markets Work for the Poor approach” (- see also the brief). These guidelines should be considered when developing a framework further. The model does not have to be perfect and it would be interesting to already start learning more about its use in practice. A systematic analysis of the relationships between the different parts of the model, and the outcomes of various types of interventions is still needed to develop comprehensive guidelines for facilitators and policymakers. Wageningen Centre for Development Innovation is going to test the model in three sector transformation programmes with youth components. CTA and WUR would also like to invite others to do the same and test the model in their programmes and bring experiences together in a learning trajectory. Another idea is to create a mapping on who is doing what to stimulate further collaboration, synergy and partnerships. Focussing on only one or a few elements of the model will not sufficiently address the matter of youth employment and entrepreneurship. Partnerships are needed in order to follow the holistic approach that is required to achieve the ambitious targets. In case you(r organisation) would like to engage more actively by providing a case or applying the framework yourself in one of your programmes/ projects/ partnerships, please contact Nina de Roo through this form. Are you interested in learning more on this topic? Please visit the Youth in agrofood systems theme page or the Knowledge Portal or contribute your knowledge here.